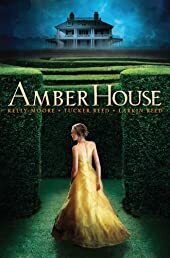 "I was sixteen the first time my grandmother died. . . ."
Sarah Parsons has never seen Amber House, the grand Maryland estate that's been in her family for three centuries. She's never walked its hedge maze nor found its secret chambers; she's never glimpsed the shades that haunt it, nor hunted for the lost diamonds in its walls. But after her grandmother passes away, Sarah and her friend Jackson decide to search for the diamonds--and the House comes alive. She discovers that she can see visions of the House's past, like the eighteenth-century sea captain who hid the jewels, or the glamorous great-grandmother driven mad by grief. Sarah grows closer to both Jackson and a young man named Richard Hathaway, whose family histories are each deeply entwined with her own. But when her ghostly visions start to threaten the person she holds most dear, Sarah must do everything she can to get to the bottom of the House's secrets, and stop the course of history before it is cemented forever.